I’ve been testing the Blackmagic Pocket Cinema Camera 4K over a number of weeks, and the more I played with it, the more concerned I became. Not because it’s a bad buy, but that people would buy the camera without really taking into account its limitations. If you’re willing to put in the extra work that the BMPCC4K needs, then it’s a stellar camera. Otherwise, forget about it. Micro Four Thirds lens mount. Dual native ISO at 400 and 3,200 ISO, with a reach of 25,600. DCI 4K up to 60p, 120p available in a cropped HD mode. CFast 2.0 and SD UHS-II card slots. Recording available onto external SSDs via USB-C. Shoots in CinemaDNG Raw and ProRes (not both at the same time). Mini-XLR input with phantom power, full-sized HDMI port. Intended to fit in cargo pants pockets, not jeans. I’m not here to tell you how I feel about the color science or how it looks beside other cameras. I think you’ll agree that this has been done before and I won’t have any additional information. As a result, the color grading that I’ve applied to the camera is slight, and noise reduction was kept to a minimum. Now, let’s start off with the best reasons to get this camera. It’s only $1,300! Right out of the gate, Blackmagic has blown the competition out of the water. It’s certainly not as sturdy as mainstream cinema cameras, but I don’t see why others think it feels cheap. I’ve held cameras that feel cheaper, and considering the tech that Blackmagic has crammed into this, I think it’s the best they could have done. You might say that the low price is offset by the need for more batteries, CFast cards, and a cage. You’d be right to take into account the costs, but I don’t think filmmakers have much of a choice anywhere else. CFast 2.0 cards cost nearly twice as much as SD UHS-II cards, but then also deliver speeds closer to an SSD. I feel that if you want a cheap cinema camera, you can avoid CFast cards and use a USB-C SSD or an SD Card. With SD cards, you’ll have trouble recording lossless CinemaDNG files for more than a couple seconds, but depending on the speed of your card, you can still get something worthwhile out of the camera. The camera will never tell you that your card isn't fast enough, which means you can push it to the limits. Blackmagic is one of my favorite camera manufacturing companies, because of their philosophy. It took Canon until the 5D Mark IV to bring 4K video recording to a DSLR. This was in part because they’d much rather sell you a C300 Mark II. Canon’s best interest isn’t the consumer in this case, and they’re not alone. Just like the URSA Mini Pro, the Pocket Cinema Camera 4K lets you record lossless raw files onto an SD card. It stops recording after a while, but the fact that they’ll let you try and do it is really reassuring. It's very handy if you run out of fast media and just need one quick shot in raw. Blackmagic made the new Pocket Cinema Camera by saying “how much cool tech can we cram into this camera” instead of worrying about URSA Mini sales. Where this backfires for Blackmagic is that their ambition can lead to bugs and issues, which we’ll talk about further into this article. Blackmagic isn’t the first to include a dual native ISO function in a camera this size, but it’s still not an everyday spec. You’ve got a low gain ISO 400 and high gain at 3,200. ISO 1,250 is where it switches. Honestly, it’s such a great feeling jacking up the ISO to 3,200, knowing that you’re not destroying the dynamic range. A lot of high-end cinema cameras struggle in low light. The RED RAVEN struggles at ISO 3,200, for example. So it's not as if cinema cameras always have low light in mind. Obviously, this is an unfair comparison, but it's very reassuring that the smaller sensor size is getting a helping hand in low light here. Noise will obviously appear at ISO 3,200, and I would still be hesitant to throw this camera into low-light situations. You'll be able to push the image further in post because of the higher native ISO. I don’t see any fixed pattern noise like Blackmagic has had issues with in years previous. Where there is noise, DaVinci Resolve Studio is included with this camera, which has a fine tuned de-noising plugin. Not the same lenses, not even the same focal length, but the same purpose. Micro Four Thirds lenses are a huge plus in my opinion. They’re ubiquitous, adaptable, and usually pretty compact. While some might argue that the format is dying now that Panasonic have announced a full frame, I still think it’s a perfectly respectable choice from Blackmagic. In the spirit of keeping things pocket sized, I put the Panasonic Lumix 35-100mm f/2.8 beside Canon’s classic 70-200mm f/2.8. Totally different lenses, but they’re both used for generally the same purposes. From a full frame perspective, the Lumix is the equivalent of a 70-200mm when on a 4/3" sensor. With a 0.71x Metabones adaptor, the Canon comes in as a 100-285mm f/2 lens. So again, different lenses, but a pretty massive size reduction from the Panasonic. If you wanted the same look on a Canon 5D, you’d need to add much more weight by using the Canon lens. Which would you prefer for a pocket camera? Watch out, though, I’ve been unable to get a Metabone’s adaptor to work with autofocus. Blackmagic told me that this is up to Metabones to get fixed, so I guess we’ll just have to keep an eye on that. Seeing Nikon's mirrorless faux pas, Blackmagic has two card slots and a USB-C port. From farm to table and camera to computer. The wallpaper is a photo by Sherwin Magsino, an Fstoppers user. SD cards and CFast cards are the kind of things the target audience for this camera might already own. No proprietary cards or anything fancy. No XQD or SxS cards. Music to my ears. Better than that, I love the idea of recording to an SSD via USB-C. I can disconnect the drive from the camera, plug into my laptop, and be editing immediately. In fact, if I shot ProRes, I could probably have the footage brought through an NLE with titles and music, ready to upload in record time. This could be really handy for people that like using Atomos recorders, but hate the bulk. I guess I’m really selling this camera right? Well, it’s not all perfect. 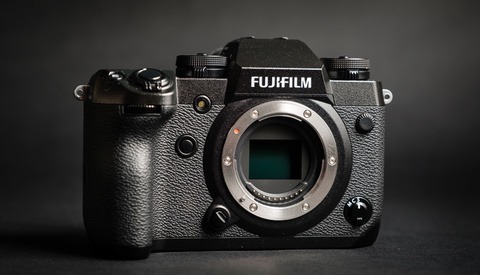 There are some serious drawbacks, and some might be the reason you don’t buy this camera. You’ll get about 45 minutes out of the battery, although it’s safer to say 30 minutes if you’re pushing it and an hour if you’re not. Far better than the previous generation, but far behind competitors. I also like that you can charge a battery up with a USB-C cable too, which is useful if you’re caught off guard. Luckily, the camera comes with a DC power cable and a cable kit will be available, so you can connect various batteries you already own to the camera. Also, brands like Tilta are already working on some pretty cool solutions to get around this. 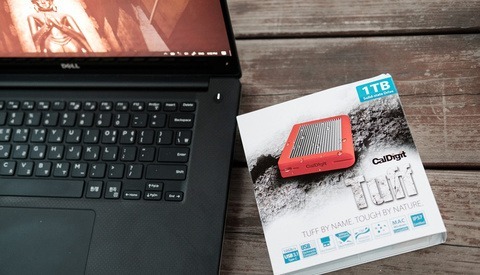 Tilta's up and coming cage will hold a bigger battery and SSD inside a side-mounted handle. I feel like a modern camera of this size should have built-in stabilization on the sensor. Nailing that Bourne look at your next wedding doesn’t look professional, and I’ve gotten accustomed to other cameras that have this feature. I feel like you’d need to rig this camera out to take it off a tripod. On the other hand, there’s a reason you might not want IBIS. Even if the setting is turned off, the sensor won’t sit still. That’s part of why the GH5s doesn’t have it. It’s assumed that you’ll have your own stabilization methods and won’t need to run and gun quite so much. This means that lens flares won’t have any wiggle, and images won’t warp with quick movement. Still though, I feel like this camera would have really benefited from IBIS. At least, I would happily pay $500 more to include this feature. 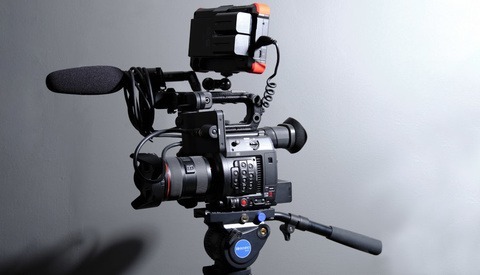 However, this would involve Blackmagic turning their back on what it means to be a cinema camera in the first place. I miss having an electronic viewfinder. If you’re used to an EVF, then consider picking up a Zacuto Gratical or Small HD 502. It’s very frustrating considering the camera doesn’t have built in stabilization. It sort of feels like we’re back to DSLR filmmaking from ten years ago. The lack of tilting screen is a pain, but the current monitor is pretty stunning, especially considering the price. Coupled with (what I consider to be) the industries best menu system, I’m not mad at the screen, just the lack of EVF above it. Bugs. In true Blackmagic fashion, there are a couple issues I’ve come across. I’ll preface this by saying I haven’t seen anybody mention these bugs online yet, and maybe I have a bad unit. It’s not reassuring, though, and it’s a huge dealbreaker if this turns out to be a common problem. First, the camera froze while I had a Samsung T5 SSD plugged into it. When I turned the camera back on, the drive wasn’t showing up. The only way to get it back was to reformat. Thank god I could still transfer the footage to my laptop. Sometimes, I couldn’t even get the camera to recognize the SSD to let me format it. A poster child SSD, the Samsung T5, has occasional issues with the camera that require you to format. I took the camera out on a job, and its battery died. I figured it was no big deal, but after I turned it on again, it couldn’t recognize the SSD. I didn’t have a laptop with me, so I just had to apologize to the client and switch to my backup camera (that luckily had a Micro Four Thirds mount). Then, on three separate occasions, the camera’s touchscreen was controlling itself. At first, I thought it might be dust, because I just moved a desk, but it kept happening. It would occur if I left the camera sitting while turned on for a few minutes. The bug goes away after you turn the camera off and then on, but on set, you might not notice that it’s doing its own thing until it’s too late. A mind of its own, changing the metadata. At one point, the camera clicked its way through the menu and formatted the card. Pretty infuriating and a massive problem if this is affecting other cameras. This is especially worrying when professionals might plan to set this camera up in a tight space and leave it for the duration of a shoot. I have two issues with the SSD recording solution. Firstly, you can’t record Lossless Raw at 60p onto a USB-C SSD. In fact, there is physically no media that can do this. I get that Blackmagic wants users to be able to push their camera to the limits, but it’s obviously frustrating to know that you can’t get past this. Perhaps this should have been a Thunderbolt 3 port to allow for more bandwidth, but then, I understand that USB-C drives are easier to find and cheaper. My second issue is that while the Samsung T5 SSD works flawlessly, other drives that ought to work simply won’t. I’ve been told that Blackmagic is not at liberty to discuss the inner workings of its USB-C chipset and that users ought to stick to their approved list of SSDs. This is annoying because an NVMe SSD in a USB-C enclosure, which is about twice as fast as the T5, won’t work. This works spectacularly with any other machine I plug it into, but the Pocket Cinema Camera won’t mount it. Interestingly, if I connect the T5 to the camera with the USB-C enclosure’s cable, the camera won’t read it. Blackmagic’s speed tests work perfectly with the USB-C enclosure and its cable, so I can’t see where the issue might lie. I’m not saying there isn’t an issue, I’m saying it’s frustrating to not know why. It also means that you might already have a stack of USB-C SSDs that won’t work with this camera. If anybody is interested in recreating my tests, the USB-C enclusure’s chipset is the "JMicro JMS583" and seems like the most popular USB-C chipset for NVMe drives. An alternative would another chipset ("ASM2362" is name I’ve seen) or perhaps an NVMe-to-PCIe adaptor in a PCIe-to-USB-C enclosure. Honestly, that’s more than the user should be worrying about, though, so it’s probably best to stick to the approved list. One works most of the time, and the other can't for some reason. After all of these issues, I still wholeheartedly recommend this camera to certain people. If your shoot has a sizeable budget and you can’t waste time with bugs, then move along. If you need a high quality vlogging camera, then look elsewhere. If you’re looking for a reliable beast that will withstand a trip around the world, then I can’t recommend the Pocket Cinema Camera 4K. If you’re new to the cinema camera world, need a budget-friendly studio camera, or the most amount of power for a small price, then this is probably the best camera you can get right now. Blackmagic have raised the bar so high that I don’t think anybody will be able to match this for years. However, I’d wait to confirm whether or not these bugs are widespread before taking the plunge. We've owned BM cameras... and it's such a love/hate relationship with them. Buggy would be the primary word I'd use when it comes to BlackMagic cameras. I would take xqd a thousand time before Cfast for the sole reason they are smaller, less expensive, "futur proof" and the system is ready for writing up to 1000MB/s folowing the xqd 2.0. Can go much faster since this is working on pci-e interface. In theory, without much difference (a little like the sd card) we could reach speed of a few thousand MB/s by modifying the bus interface. ... cfast is working on old standard and already pretty limited at 550 working on data interface protocol. It's a little like VHS BETA or DVD/Blueray all over again. For me, fast is to dvd what xqd is to blueray. My main concern for XQD is how future proof it is. Sony seems to have stopped supporting it, leaving Nikon and (maybe) Panasonic. Sony was the real power in this I feel, since they made the cards, readers, and the cameras. Whereas Cfast is used in Blackmagic's URSA Mini and Canon's C200/C300 MkII. I absolutely hope that CFexpress takes off and replaces the whole lot – perhaps even supporting old XQD cameras. I'm glad that the BMPCC4K uses CFast like it's older brother, and then gives users the option for SD cards and SSDs. CFexpress are already said to be backward compatible with xqd has the socket will be the same, bus protocole basicly an evolution of the XQD, etc. Wont be a problem. And sony is not pushing xqd for their mirorless to be more attractive to consumer has most will never fully use sd card speed limits (except sport and animal shooter). They created the XQD for their cineme camera lineup mainly, for a replacement of the other card protocol. Nikon choose to use it, i don,t know why exactly but cake to donut it's to be different to canon. Nikon, and Sony, created the standard with the CompactFlash Association. I was surprised it took Nikon so long to get an XQD camera released – part of me thinks they were seeing the market play out first. Surprising they'd do it around the same time as Sony's lack of enthusiasm. Sony doesn't have a single current gen XQD camera on the market (unless I missed one, their last round of broadcast/cine cameras were SxS and SD). I'm very excited to see where CFexpress goes! "I would take xqd a thousand time before Cfast for the sole reason they are smaller, less expensive, "futur proof"..."
You do stand-up comedy as well I see. XQD is a stillborn, dead-end format. Nobody uses it. It doesn't matter how great it's specs are if nobody's endorsing. The future belongs to CFx and, ultimately, SDx. What I like about these cameras is that it makes you think and adapt, problem solving and learning is a great skill for filmmaking. Great review and video. This camera is really exciting but the fact that footage can be deleted is so scary. It adds to the excitement! I had a BMPCC 1st edition and now have a Ursa Mini. I haven’t had a single problem with either, paired with DaVinci Resolve it’s a no brainer for me with my budget. What other cinema camera has IBIS again? I'll wait. The worst offense of BMD here in the context of the Pocket 4k is confused markerting, which has led to countless reviews complaining about no IBIS, no continous AF, and no articuated screen. Regardless of it's form factor this camera is not a DSLR/DSLM. Period. To expect DSLR-like features out of a cinema camera is pointless, simply because the workflow between cinematography and videography is different. Putting a record button on the front of the camera further contributes to the mixed markerting and ultimate confusion of who this camera serves. There's no one else to blame for this other than BMD. The DSLR/DSLM-like body simply comes down to the ergonomics of logical deduction and science of the way humans grip stuff. Ever handheld a RED? Its like holding a metal box with a top handle, not the most comfortable design. BMD should have called this camera the Cinema Production Camera 2 4K as this camera has far more in relation to the original production 4k camera than the original pocket camera. Calling something "pocket" that doesnt actually fit into a commonly sized pocket is just faulty and misleading markerting, and thus we end up with confused reviews like the one this comment is attached to. Talking to Blackmagic about this, they mentioned that: the second record button on the front would be useful for rigging and less custom cages; they recommend it for cargo pants pockets.